Tressa Daniels is the Senior Manager of User Experience Design and Human Factors Engineering at Becton Dickinson, which is a global medical technology company that is advancing the world of health by improving medical discovery, diagnostics and the delivery of care. 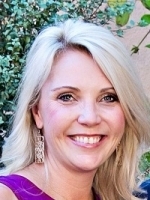 Tressa is a Human Factors Engineer with 19 years of experience designing and executing human factors analyses of consumer and medical products, including infusion pumps, oral medication dispensing systems, migraine machines and DNA Sequencers. Formerly, Tressa worked at Illumina, CareFusion, HP, Intel and Xerox and was a Human Factors instructor at Woodbury University in Burbank, Ca. More recently she is a member of the Human Factors and Ergonomics Society (HFES) as well as the Association for the Advancement of Medical Instrumentation (AAMI). She serves on AAMI’s Human Factors Engineering Standards Committee as well as hosts regular Webinars for AAMI. Tressa holds a Bachelors Degree in Psychology as well as a Masters in Human Factors Engineering and Applied Experimental Psychology.